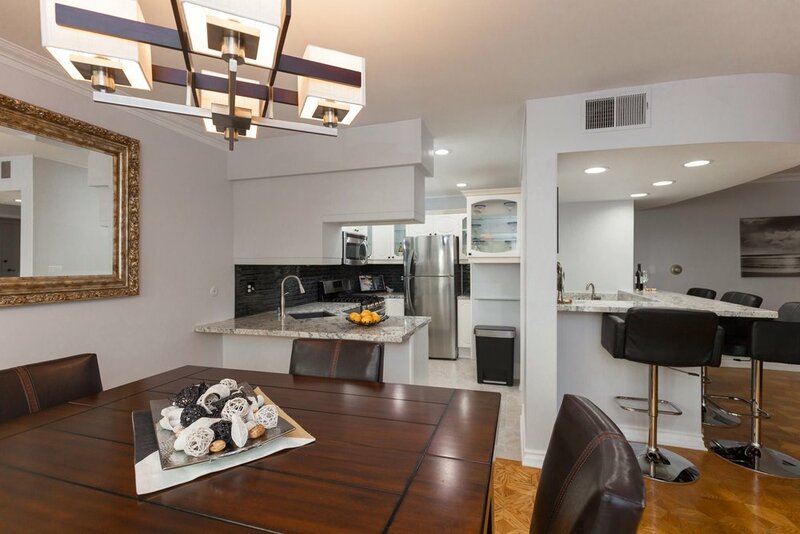 Located south of the 134 freeway in a prime Toluca Lake neighborhood, this is one of the largest one bedroom condos you will find. 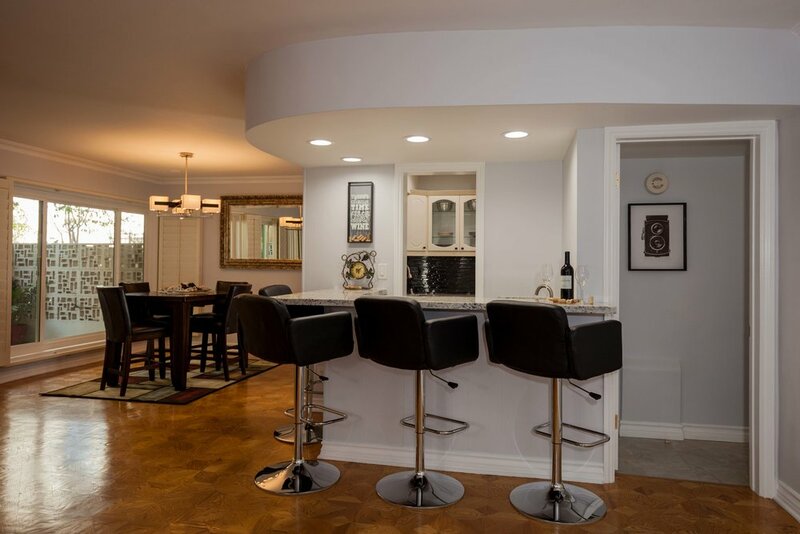 Recently remodeled throughout, enjoy the luxuries of life including high-end granite countertops, a unique tile backsplash, stainless steel appliances, and black undermount sinks. The bathroom is fit for a king with both an extra large bathtub, and an updated shower with a frameless glass door and 8 inch rain head. The double vanity has slow close doors and drawers, and the brushed nickel fixtures add an elegant touch. 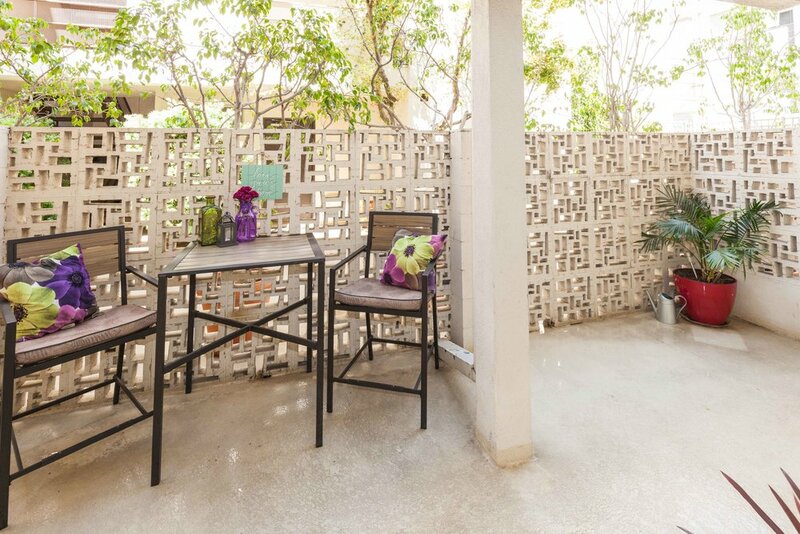 Acknowledging it's history, this condo has hardwood parquet floors, and white plantation shutters. 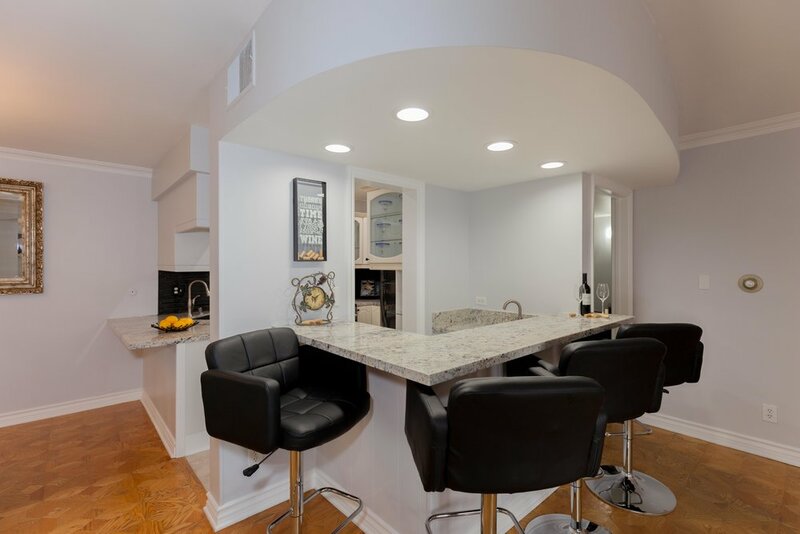 After a long day, enjoy the fresh air on the sizable patio of roughly 185 square feet, or make yourself a drink and hang out with friends at your personal wet bar. On the weekend, take a quick dip in the pool. To sweeten the deal, your HOA dues cover nearly all utilities including; electricity, water, trash, gas and basic cable.